Attorney General Bill Barr has received the Mueller report, marking the end of the special counsel investigation into Russian interference in the 2016 presidential election and possible obstruction of justice by President Trump, The Washington Post reports. The big picture: It remains to be seen what of the report will become public. Barr told lawmakers earlier this year that he would release as much information from the final Mueller report as is legally possible. Note that Barr is supposed to notify Congress if anyone at DOJ overruled a request from Mueller — Barr said today that "there were no such instances during the special counsel's investigation." What's next: Barr told the House and Senate Judiciary chairs in a letter that he may be able to advise on the details of Mueller's conclusions as soon as this weekend. Mueller will not be recommending more indictments as a result of the investigation, per the AP. Mueller will conclude his special counsel service in the coming days as well. The White House was informed at approximately 4:35 pm on Friday that the Department of Justice had the Mueller report, per CNN. At 5 pm staffers from Capitol Hill met at the Department of Justice, per Fox News. Around 7:20 pm, Democratic chairs of 6 House committees submitted a letter demanding that the Justice Department release "without delay" the complete report, and that Barr turn over all evidence Mueller discovered. 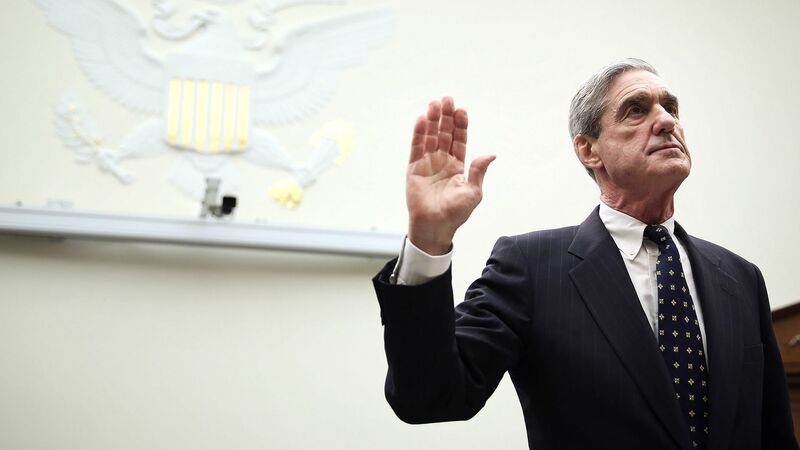 The Democrats — including Jerrold Nadler (Judiciary) and Eliot Engel (Foreign Affairs); Elijah Cummings (Oversight and Reform); Adam Schiff (Intelligence), Maxine Waters (Financial Services) Richard Neal (Ways and Means) — say since the Justice Department asserts a sitting president can't be indicted, Barr's failure to release evidence of criminal or other misconduct by Trump "would raise serious questions about whether the Department of Justice policy is being used as a pretext for a cover-up of misconduct." Bill Barr, in a letter to House and Senate Judiciary committee leadership: "I remain committed to as much transparency as possible, and I will keep you informed as to the status of my review." Rudy Giuliani and Jay Sekulow: "We’re pleased that the Office of Special Counsel has delivered its report to the Attorney General pursuant to the regulations. Attorney General Barr will determine the appropriate next steps." White House Press Secretary Sarah Sanders: "The next steps are up to Attorney General Barr, and we look forward to the process taking its course. The White House has not received or been briefed on the Special Counsel’s report."